Vertical Pillar Faceplate Vertical Pillar Faceplate  - $239.00 : Letter Box King, Best value letter boxes and lettering! 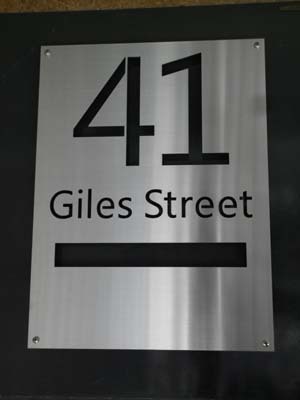 Vertical Pillar Letterbox Faceplate made from 2mm marine grade 316 brushed finish stainless steel. 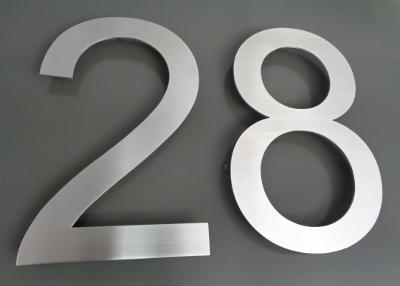 The Faceplate is 500mmx 200mm with laser-cut street number and street name. We can supply the plate with 4 fixing holes for screw fixing, a black colorbond sheet will be supplied to be installed behind the number and street name. If a sleeve is required, we can manufacture you a stainless steel sleeve, cost depends on length.